Both phones have Polycarbonate back, Realme 2 has a Diamond cut finish which lacks in Realme C1. Both phones come with 6.2-inch (1520 x 720 pixels) 19:9 FullView Notch display powered by 1.8GHz Octa-Core Snapdragon 450 14nm Mobile Platform with Adreno 506 GPU. 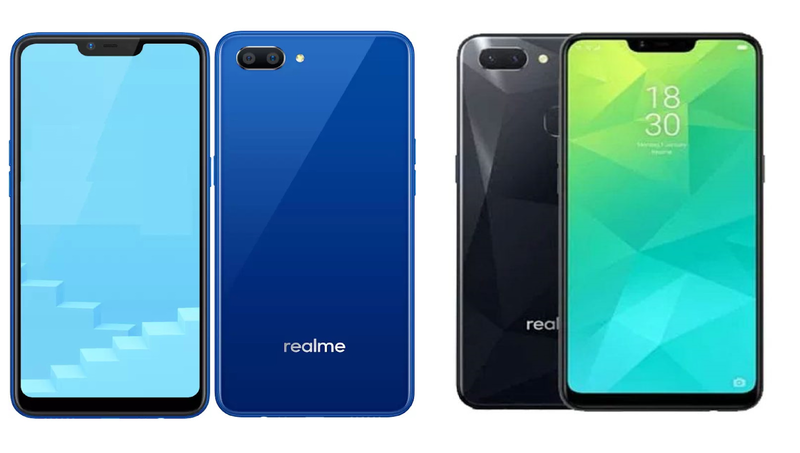 Realme C1 has 2GB RAM with 16GB Storage whereas Realme 2 has a 3/4GB of RAM and 32/64GB of internal storage both phones has support for dedicated MicroSD card. On Camera, both phones have a 13MP rear camera with LED flash, f/2.2 aperture, secondary 2MP camera with a f/2.4 aperture Realme C1 has 5MP front camera compared to 8MP on Realme 2. Both phones run on ColorOS 5.1 based on Android 8.1 (Oreo) packed by a 4230mAh Battery.